But if you have already watched the whole video on the site then there is no need to waste the time on downloading it again. 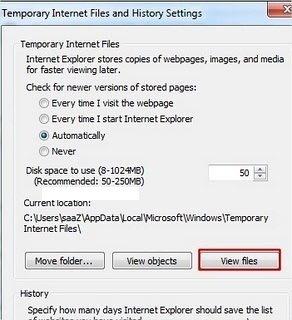 As we all know what we done internet it saves in the cache cookies so we just have to locate the cache folder of the browser where your streamed video is already saved you just have to copy paste the video file from cache folder to your desired location in your computer. Before reading this tutorial make sure that you have to unhide all your files and folders because cache folder of any browser is hidden. Here is the step by step tutorial with screenshots on how you can locate the cache folder for various browsers in various operating systems. C is the system root i.e. to which drive your windows is installed. If you are not sure about the system root you can replace C: with %systemroot%. Also do not forget to replace USER_NAME to your windows username to which you are logged in. 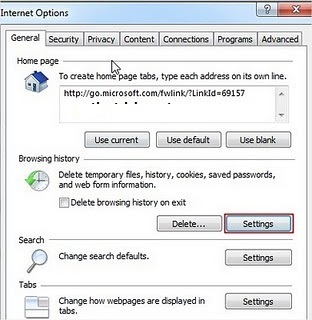 In case of Internet Explorer you need to go to Tools>Internet Options and then in Genreal tab click on Settings button. Once you have found the cache folder of your browser the next thing you have to do is locate your video file. To do this arrange the files of the folder according to their size because video files are usually large in size. Open the largest files with VLC Player.Once you have found your video just copy it to your desired location. Note:There are usually Some data files with names like data_1 in cache folder. Do not open them with Vlc open the rest of the files with Vlc and you will easily find your video.